Sangrà, A., Vlachopoulos, D., Cabrera, N. & Bravo, S. (2011). 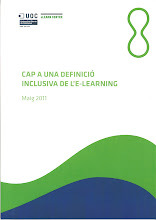 Cap a una definició inclusiva de l'e-learning. Barcelona: eLearn Center. UOC. (p. 36). Sangrà, A., Vlachopoulos, D. & Cabrera, N. (2011). The conceptual framework of e-learning. A view from inside. International Journal of Learning (in press). Sangrà, A., Vlachopoulos, D., Cabrera, N. & Bravo, S. (2010). 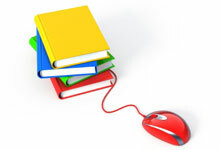 Defining e-learning: a research on its conceptual framework. International Conference of Education, Research and Innovation. Madrid.